What: The Show & Prove Super Bowl: 2012 Hip Hop Festival Kickoff. The events welcomes in the 8th Annual Hip Hop Festival in Brooklyn.The event will feature the finest MC's as they compete for an opportunity to open the set on the final day of the festival on July 14, 2012. There's not better place to experience hip hop than that Brooklyn way. How: Purchase Tickets here for $10. 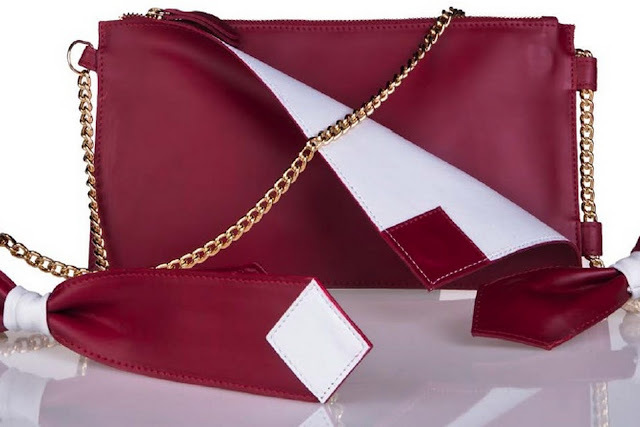 I was introduced to Francesca Evangelista handbags by a former co-worker via Facebook. I was captivated by the collection instantly and had to find out more. After catching up with the 20-something Italian designer via email, I was even more inspired to share the Fall 2012 collection with everyone on Day & Night Socialite. 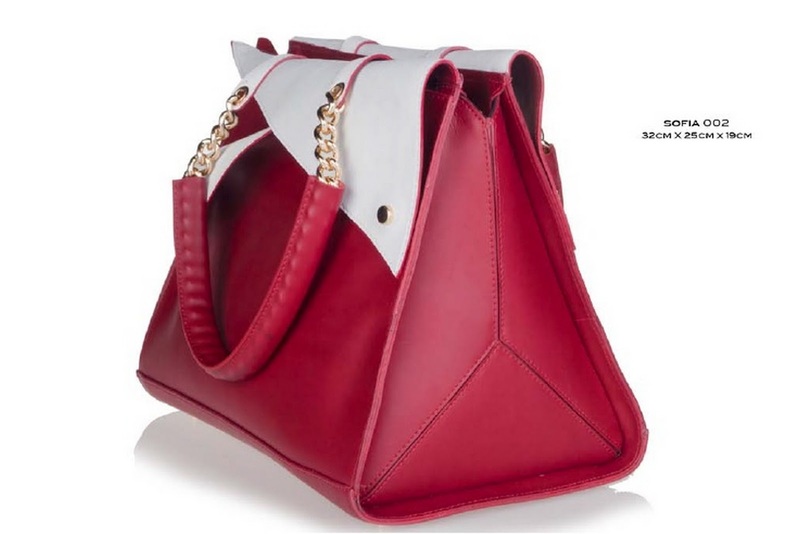 These bags are so unique and bold I am sure you will love them just as much as I do. Below, check out 4 of the bags from the Fall 2012 catalog and learn more about Francesca's very detail-oriented design inspiration. "The collection is inspired by classic menswear . The colors are very important to this collection...[as] some models are characterized by strong contrasts." "There are several elements [of classic menswear] such as revers and tails that are incorporated into the bags." It's only right to start the summer off with BBQ. I am so glad that Southern swag will be in NYC this weekend with the Big Apple Barbecue Free admission, plates of the best BBQ in the world can be had at about $8 a plate. Bring your best Southern accent, charm, a full appetite, and a blanket to sit out in Madison Square Park. See you there, socialites! Who needs the beach when you've got Brooklyn?! I'm not much of a beach enthusiast so heading to one of my favorite places, Brooklyn, is the ideal weekend destination. Here are 3 fun things to do in Brooklyn this weekend as we celebrate and honor those who have given their lives for our American Dreams. Happy Memorial Day! 1. Dance Africa 2012 at BAM- This weekend long dance festival features the best African dance companies around and is the perfect way to celebrate the beginning of summer. Dance Africa brings the culture of the African Diaspora to life. This year marks the 35th anniversary of the festival so the performances are sure to be inspiring and entertaining. Tickets are $20 for all shows this weekend. Get more ticket info for Dance Africa 2012 here. 2. The Do-Over-The L.A. based backyard day party lends itself to Brooklyn this Sunday in celebration of Memorial Day and the Brooklyn way! The Do-Over is a laid back dance party that features up-and-coming DJs, an eclectic jams, and a diverse crowd. Kicking off the summer season with select DJs, new sounds, in a new city, The Do-Over is all about the NEW! Who knew? Admission is free. and the party goes from 2pm to 10om. RSVP and get more info here. 3. 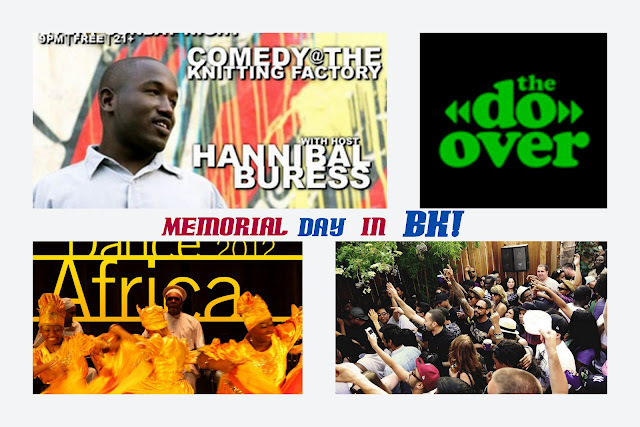 Comedy Night at The Knitting Factory-Not having to work on Monday morning provides the perfect opportunity to LOL late into the night on Sunday with Hannibal Buress and his posse of amateur and well known comedians. The show is free and no less than fun. Get there early (8:00pm) so that you can actually get in. Click here for more information about this Sunday night show. Mother Pinterest knows I love a glossy stylish nail trend but matte manicures are on the come up. Although, the effect kinda reminds me of unfinished acrylic nails from back in the day, after the primer and before the buffing, I absolutely love it. Ditch the shiny top coats and see if a matte finish is your thing. I've seen a few matte nail colors around the and thought I'd share the best nail brands and colors to help achieve this look. 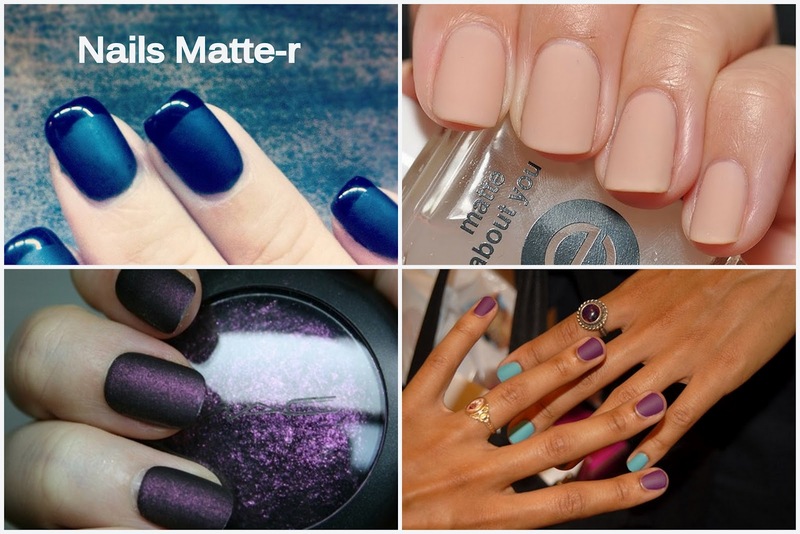 According to my "research" here are a few of the best matte polishes out there. 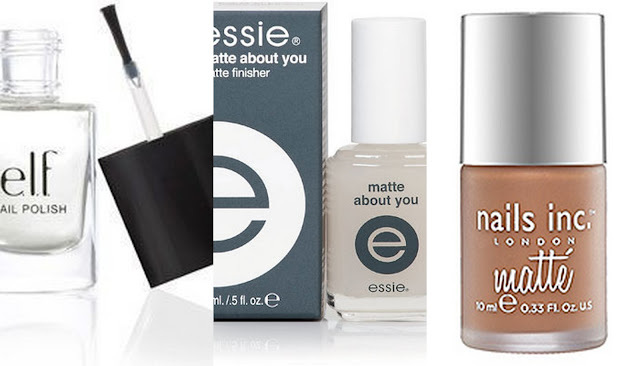 The first two (L to R: E.L.F Matte Finisher $2 and Essie Matte About You $9) are matte finishers that will transform a shiny polish into a matte finish. The last pick is a full on nail polish with color, Heathrow from Nails Inc $5., with a built in matte finisher. Now, get out there and set some trends. Welcome back to the week. Here is what is on my mind today. Be inspired and have a good week! Musings in Jewels-I discovered a new accessories shop on Etsy, CSFootprints, via Addicted2Etsy.com. 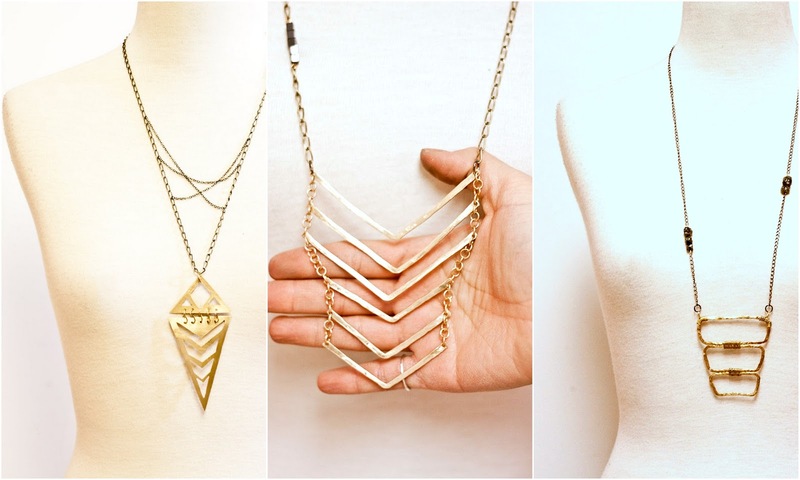 These designs are so marvelous and affordable! If you haven't ever seen one of Darmirra Brunson's celebrity YouTube spoofs, you are in for a real treat today. This woman is a legit comedic genius. I enjoy all of her videos but this one she does of Rihanna, saying things that are characteristic of what our imaginations (and our Instagram and Twitter timelines) would believe the Bajan, popstar beauty would say on the phone, to her celeb friends, and in her everyday life. Watch and LOL. Don't forget to share your favorite lines/moments with me in the comments section. Happy Friday!